At the start of 2017 Royal Caribbean became the only cruise line in the world where guests can become certified scuba divers as part of their vacation. Now Royal Caribbean is diving even deeper by bringing underwater adventures to life with a first-of-its-kind snapchat experience. 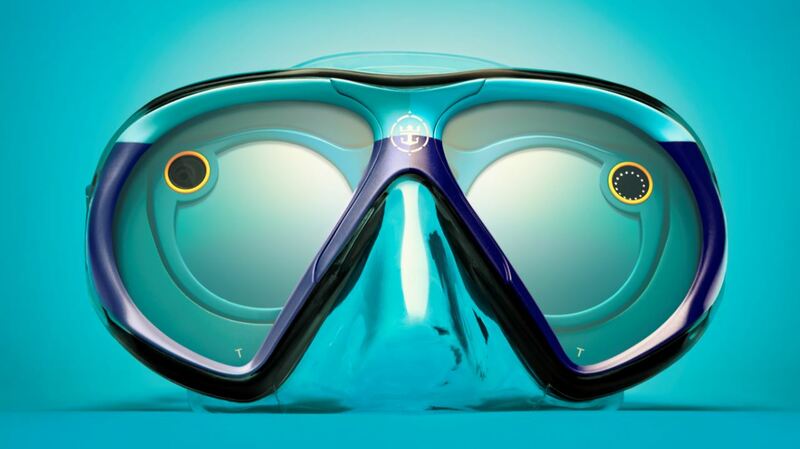 The mask was custom engineered by the cruise line for use with Snapchat Spectacles and allows the wearer to snap while underwater and give those above the surface a unique perspective into the intriguing underwater world of marine life. Spectacles are sunglasses developped by Snap Inc., the company behind Snapchat, which can record 10 seconds of video and are operated by tapping a button on the device. The recorded video is then automatically uploaded to the ‘Memories’ section of the snapchat app via Bluetooth or Wi-Fi. The three dives will feature incredible underwater adventures seen through the eyes of three well-known divers. In Cozumel, Mexico marine wildlife photographer and conservationist Roberto Ochoa will give viewers a rare glimpse into the annual migration of Whale Sharks. Gabriela Nava marine biologist and co-founder of the organization Oceanus, A.C. based in Mexico, will then take viewers to see a coral reef restoration project where she and her team have been working to restore the local reefs. In Belize, fans can follow along as free diver Ashleigh Baird visits the Great Blue Hole, an underwater sinkhole that is believed to be the largest of its kind. Fans can #SeekDeeper by following @RoyalCaribbean on Snapchat and other social platforms.